Jon Keeling, far left, demonstrates proper form for Kumite, (no-contact sparring) in the adult's karate class he teaches at Silicon Valley Shotokan Karate dojo at Cubberley Community Center on Aug. 3, 2017. 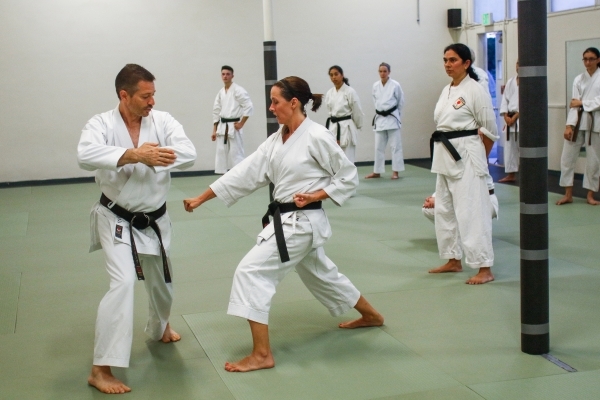 The school teaches traditional Shotokan karate for children, teens and adults and also offers adult self-defense lessons. Photo by Veronica Weber.